What Simple Thing Made You Happy Today? 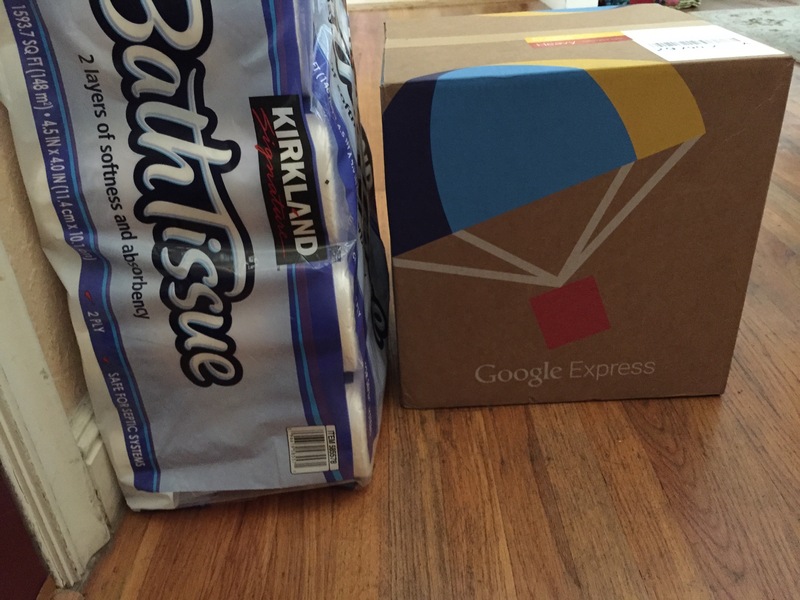 Have you heard of Google Express? GE made me very happy today. For some reason, I was up at 5:30 am and began planning my day. I keep a little planner in our kitchen to highlight kid events and times and there is a section for the grocery list, where the kids and I can jot notes of what we need and when we run out. I was transferring the paper list to my NOTES list on my phone, when I decided to go online and place an online order for the bulk items. Google Express allows you to pay an annual fee and then someone else runs your errands for you and delivers the goods to your door for “free.” I love that I can go online at 6 am, and pick a delivery window between 1 and 5 pm the same day and never have to leave the house. I love that someone else does the gathering from store to store for non-perishable goods, stands in line, pays, moves the goods to a car, and then back out of the car and to my porch. I don’t have to spend time doing this chore and I LOVE having the gift of time back. I also love that I am spending less money by not being tempted by the aisle displays and holiday decor and new snack items that are being offered. I am just shopping for what is on my list, which is hard for me to do once I enter the store. I was able to get a workout in, shower and blow dry my hair and get dressed today. I had a board meeting and ran an errand before heading home. When I got home, my delivery was waiting for me and I unloaded everything before running out again. I am thankful that Google Express gives me “one less errand to run” and gives me my time back. Thank you Google Express – and no, I am not paid to endorse anyone. I am a happy customer! Walking on the Sandy beach with my friend.